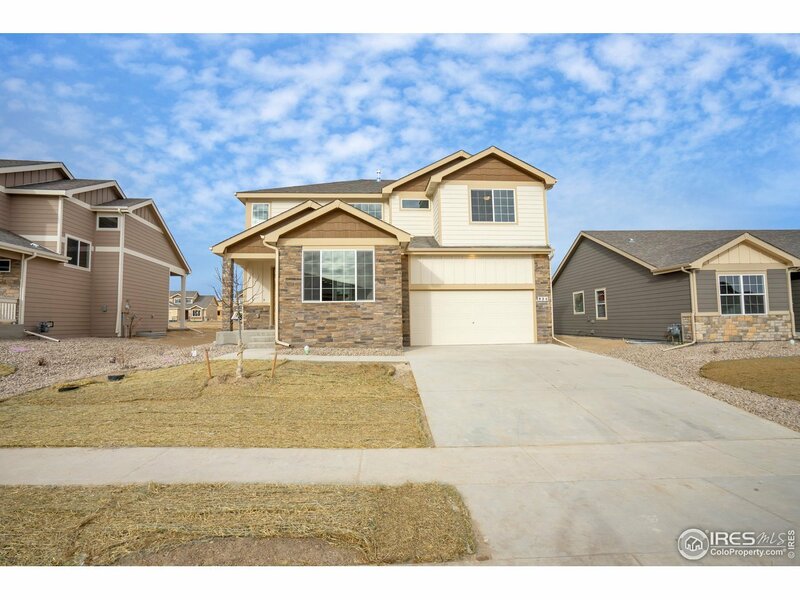 The Glendo is a 4 bedroom, 2 1/2 bath two-story home with 2294 sq. ft. finished and a 800 sq. ft. unfinished basement. Legacy finish included on this address. Legacy includes hardwood flooring in the entry, kitchen & dining areas. Tile back splashes in the kitchen and upgraded 2-tone interior paint throughout the home. The great room, kitchen & dining room are an entertainment magnet. The master suite features a large walk in closet and a 5-piece luxury bathroom. © 2019 IRES Information source: Information and Real Estate Services, LLC. Provided for limited non-commercial use only under IRES Rules. @copy; Copyright IRES. All rights reserved. Information deemed to be reliable but not guaranteed. The data relating to real estate for sale on this website comes from IRES and the Broker Reciprocity Program.sm. Real estate listings held by brokerage firms other than RE/MAX Eagle Rock are marked with the BR logo and detailed information about them includes the name of the listing brokers. Listing broker has attempted to offer accurate data, but buyers are advised to confirm all items. listing information is provided exclusively for consumers' personal, non-commercial use and may not be used for any purpose other than to identify prospective properties consumers may be interested in purchasing. Information last updated on 2019-04-26 05:56:56.